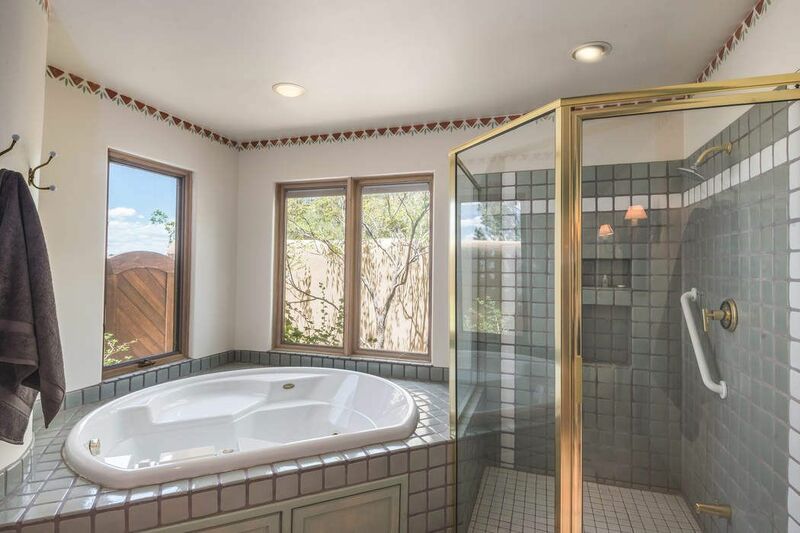 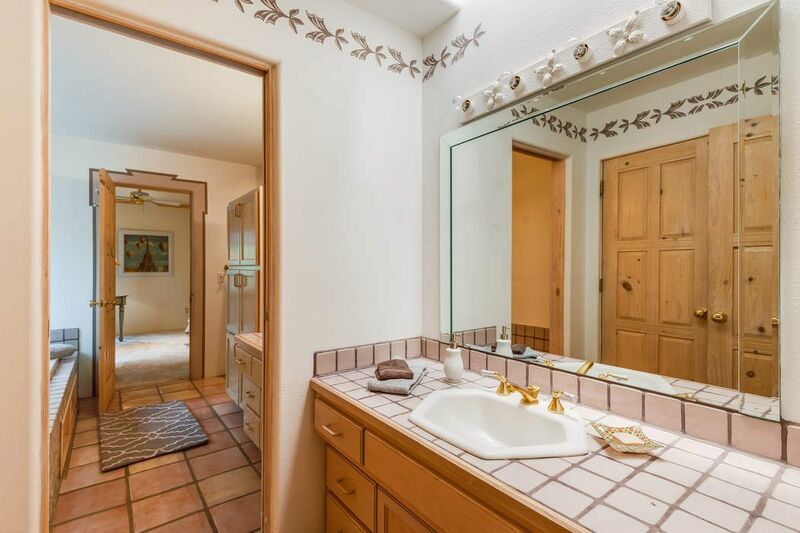 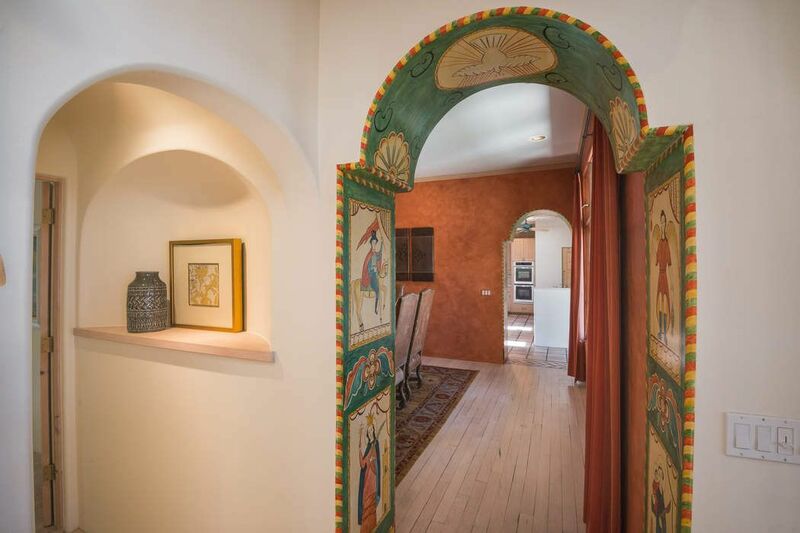 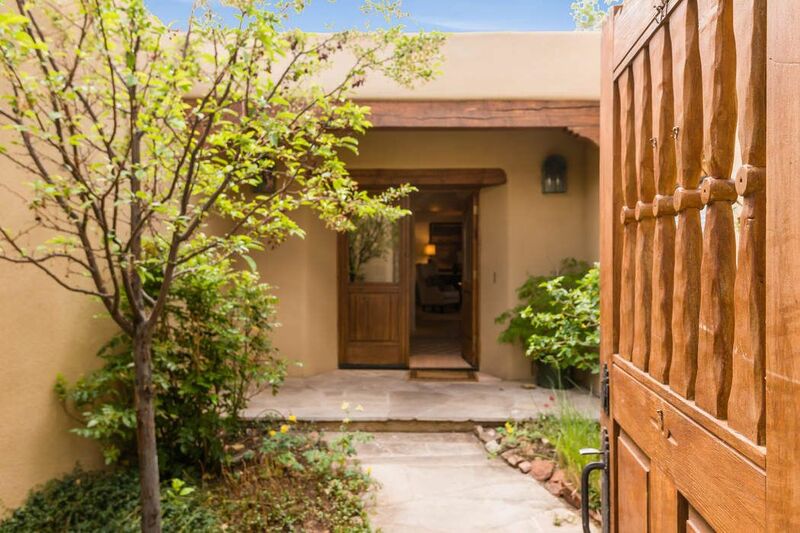 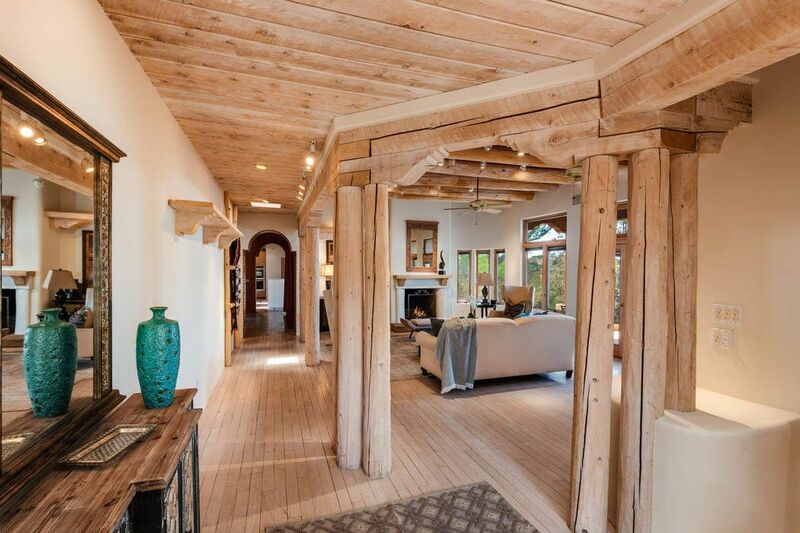 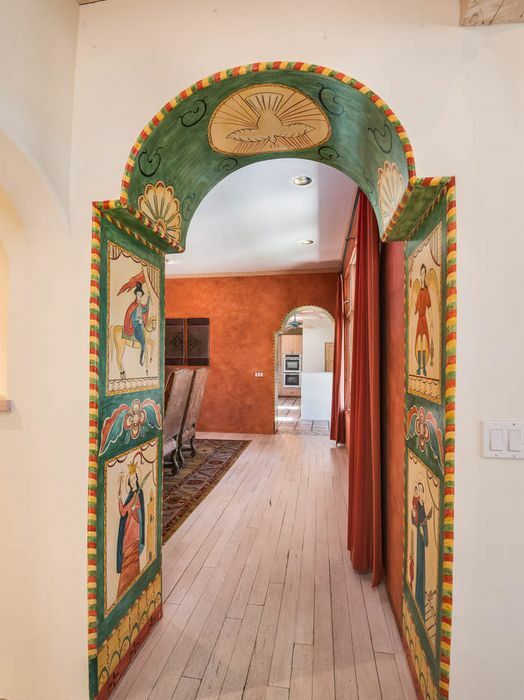 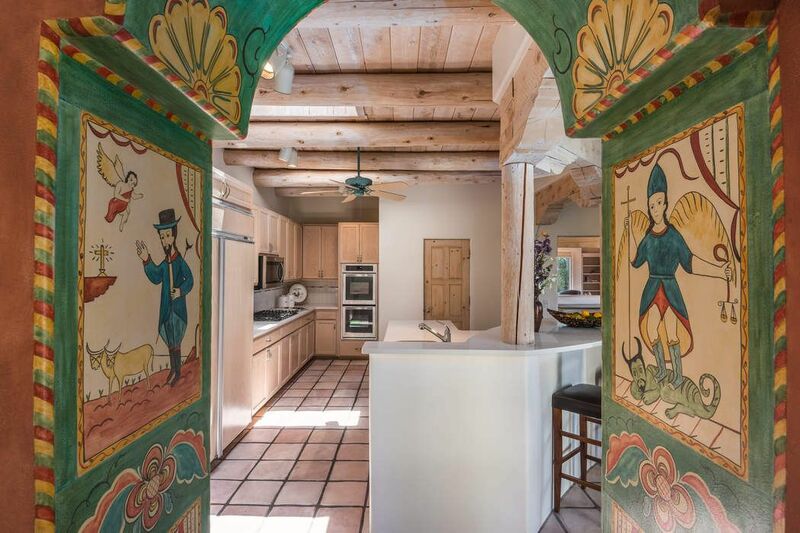 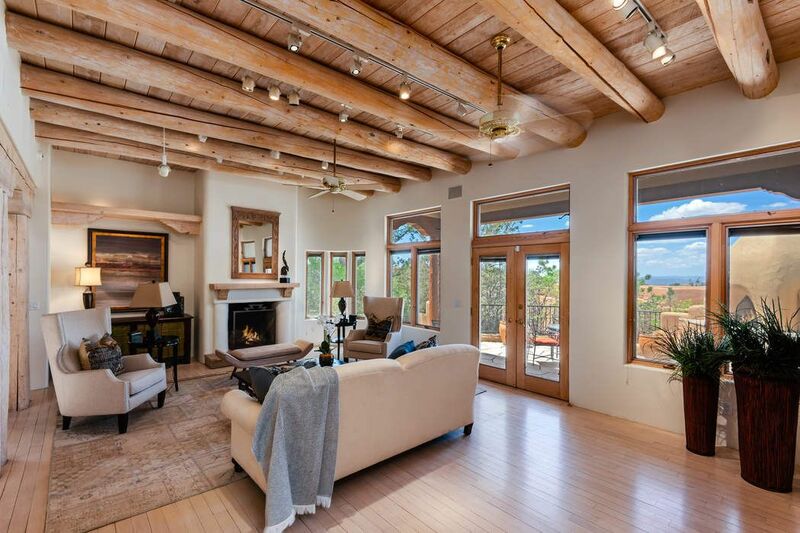 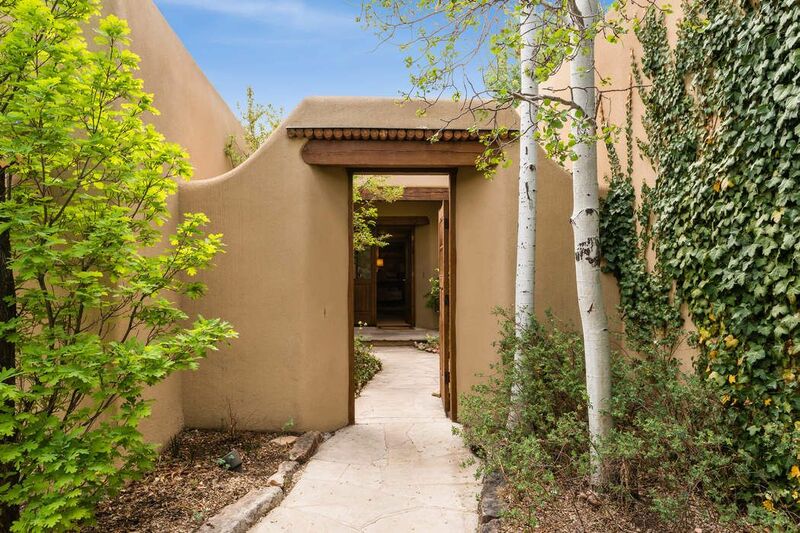 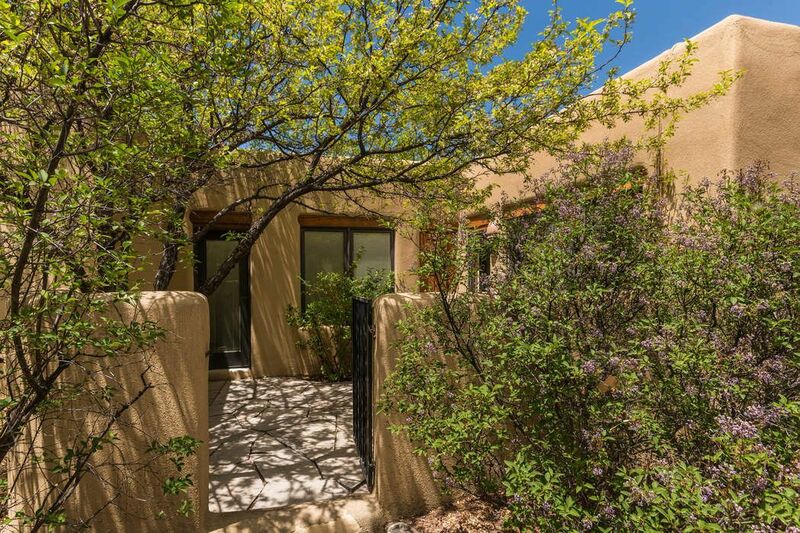 1398 Camino Corto, Santa Fe, NM 87501 | Sotheby's International Realty, Inc.
$925,000 3 Bedrooms3 Full / 1 Partial Baths4,229 sq. 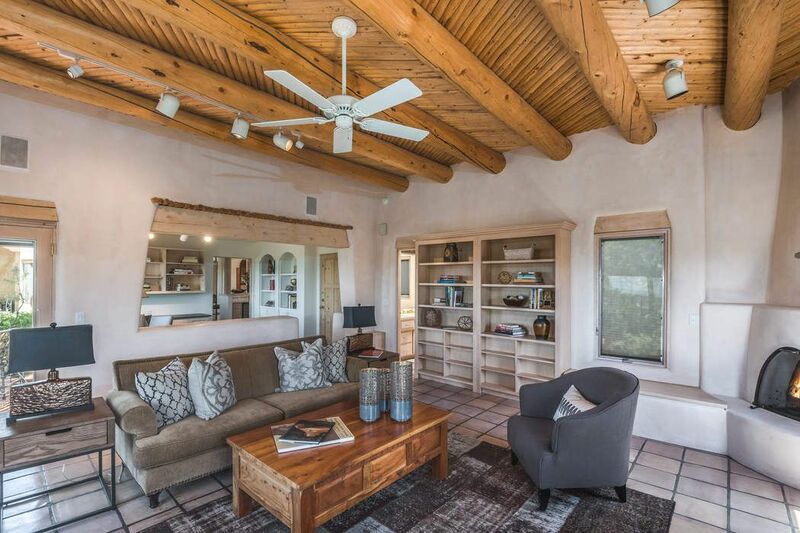 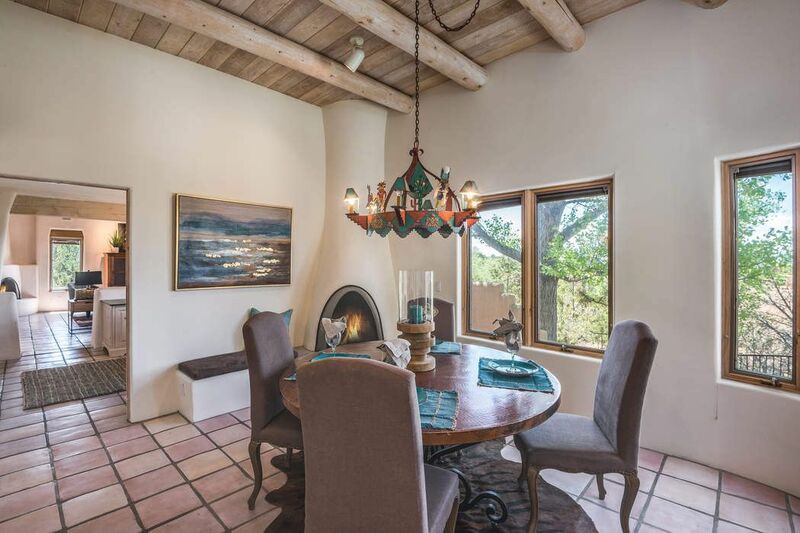 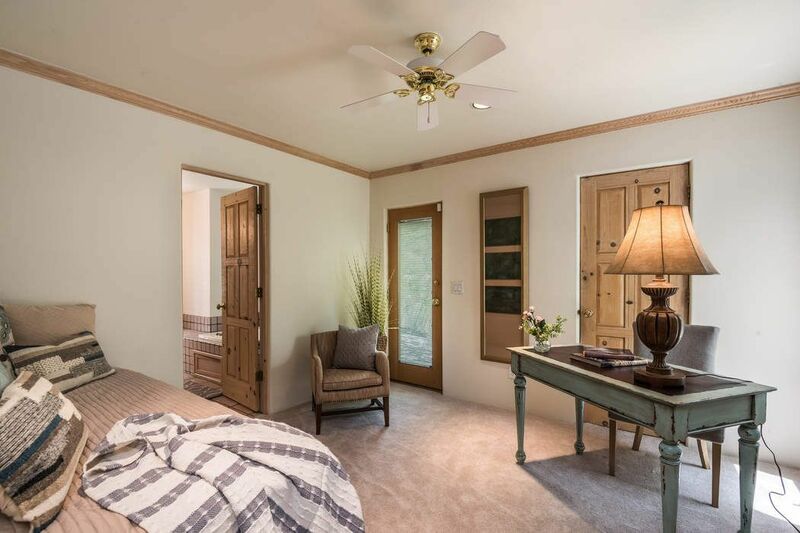 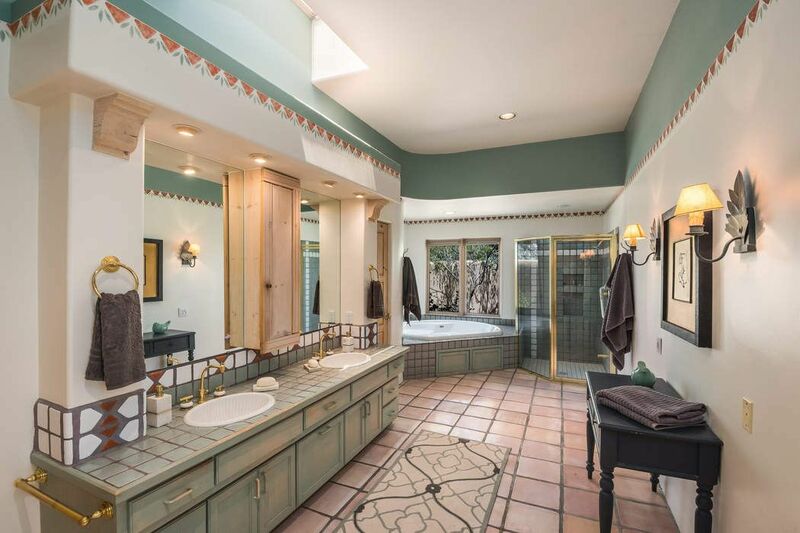 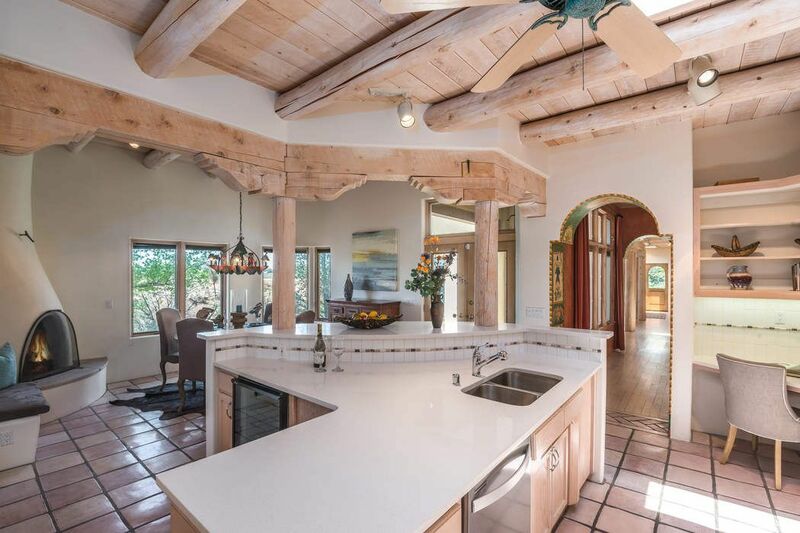 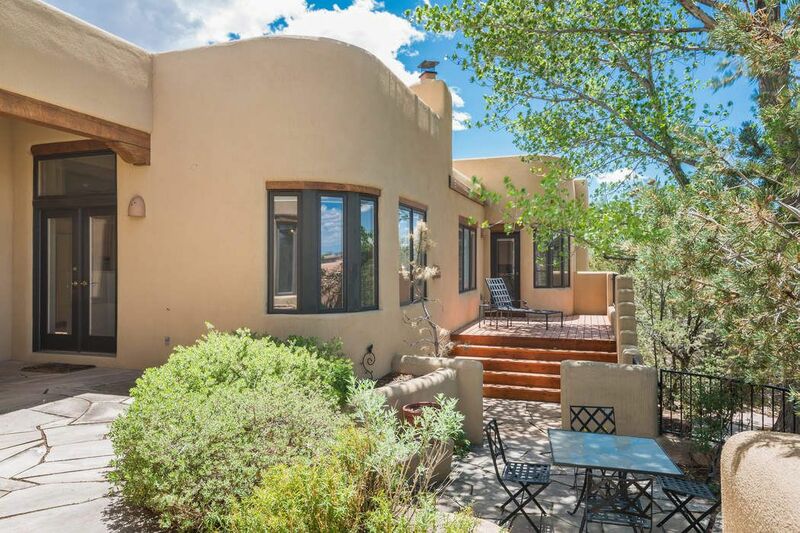 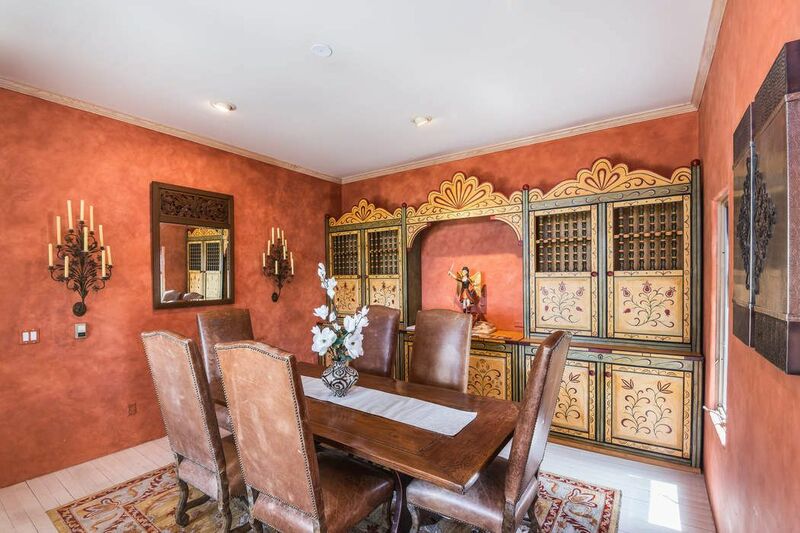 ft.
Grand and gracious, this Estate residence is a classic Pueblo Style home, conveniently located in Las Barrancas on a private cul-du-sac and only minutes to Canyon Road or town. 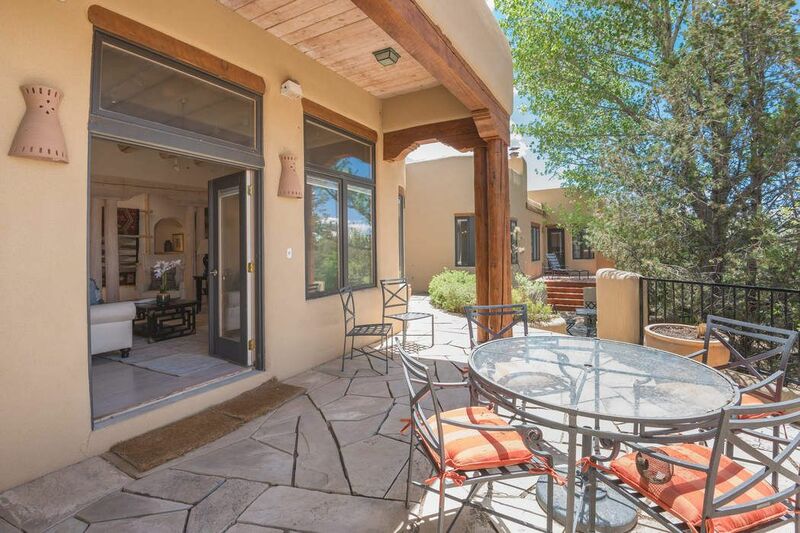 The property is ideal for entertaining and living with a great room, den and several outdoor patios. 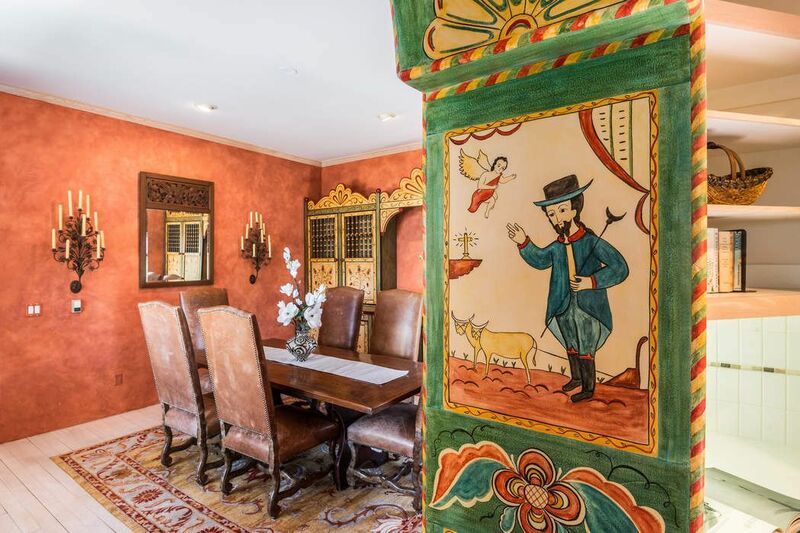 A very special feature is the formal dining room which features custom paintings by the renowned local artist. 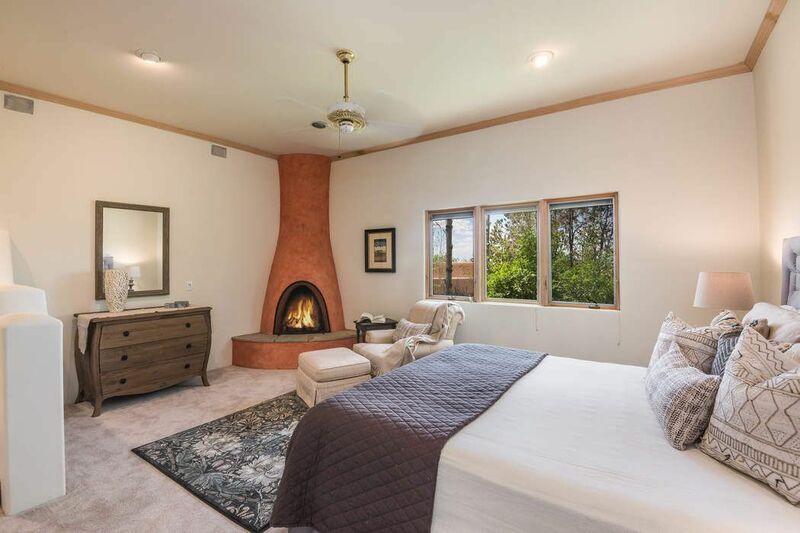 There are 4 fireplaces, nichos and custom cabinets throughout. 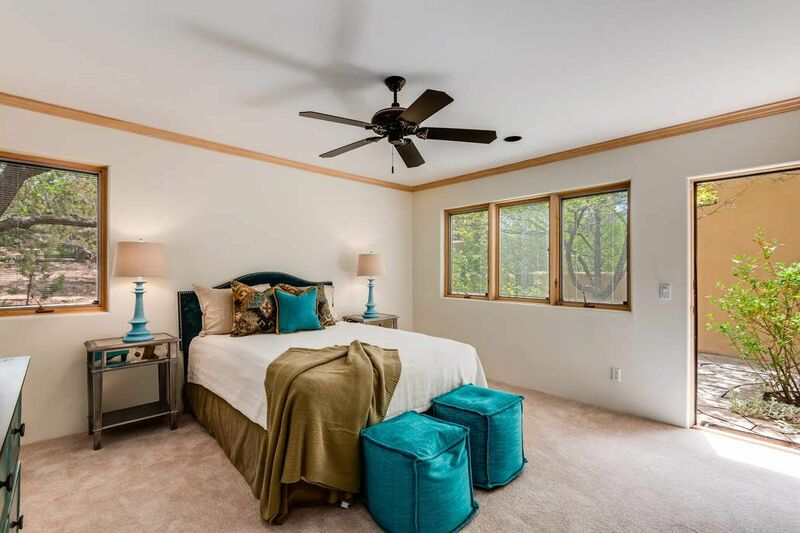 In addition to the large master with a spa bath and walk-in closet; there are two other bedrooms and 3 additional baths. 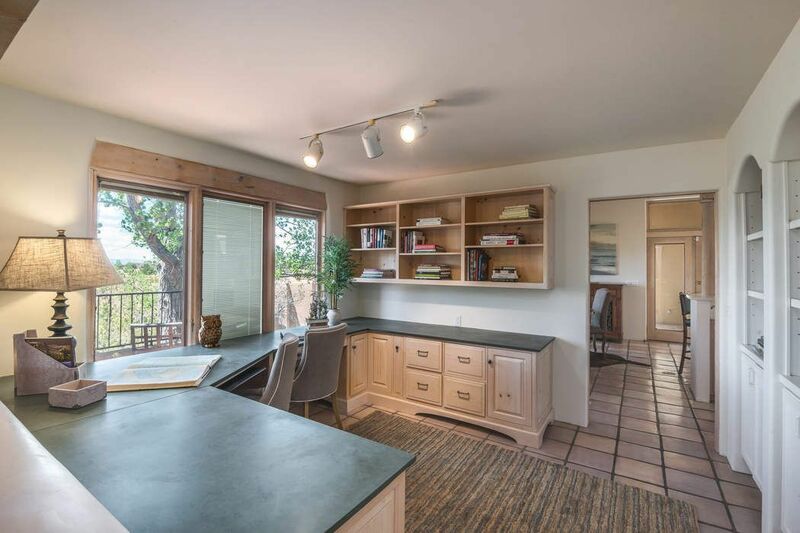 An executive office makes this home complete. 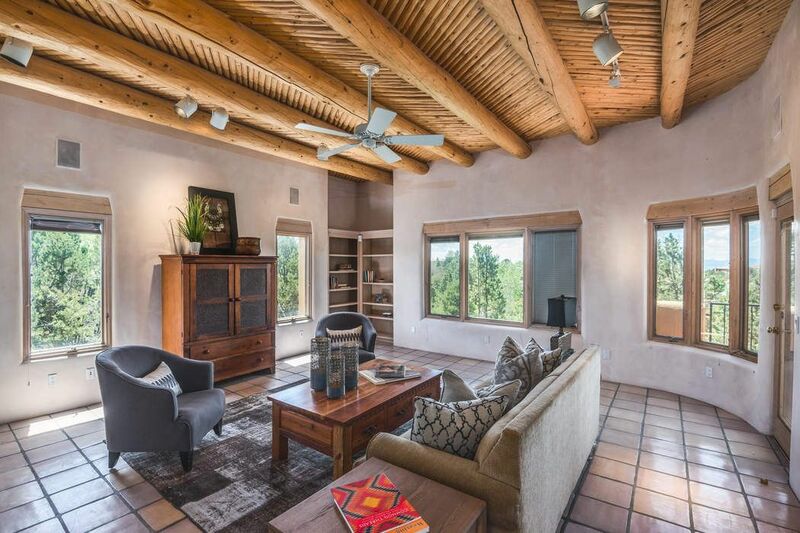 Built by Sonny Otero in 1992 with 4,229 square feet of living space. 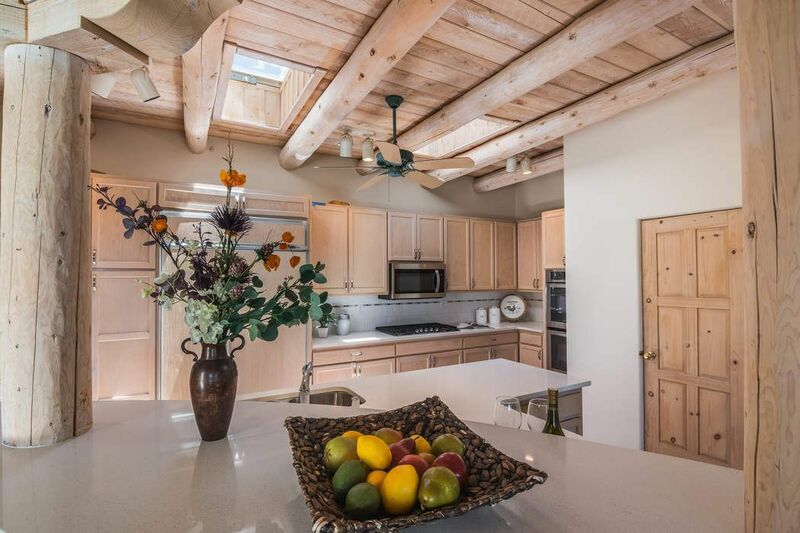 The roof, heating system and stucco and interior finishes have been recently updated. 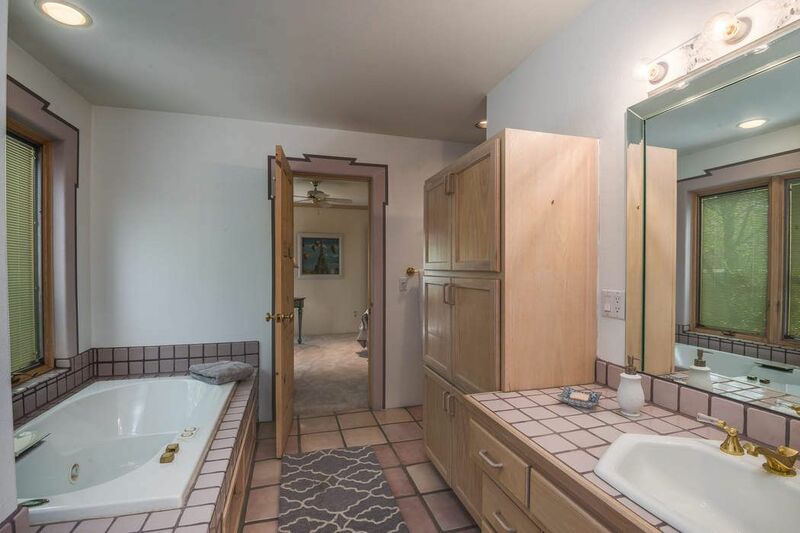 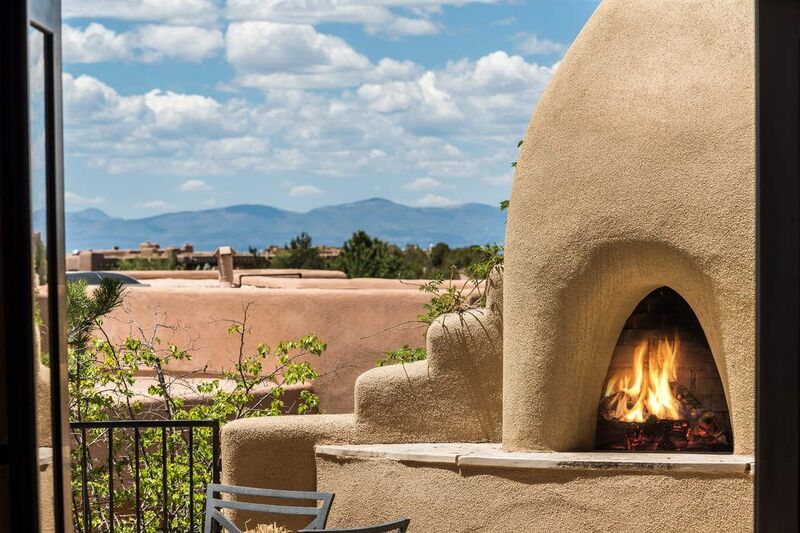 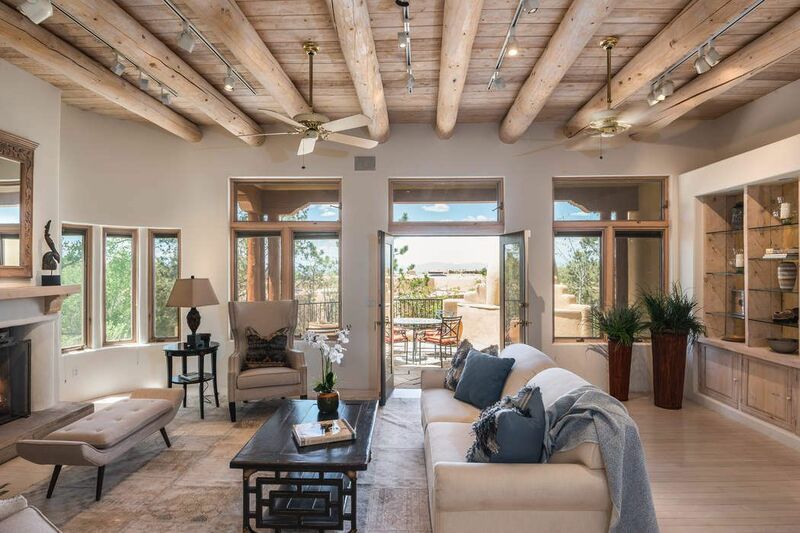 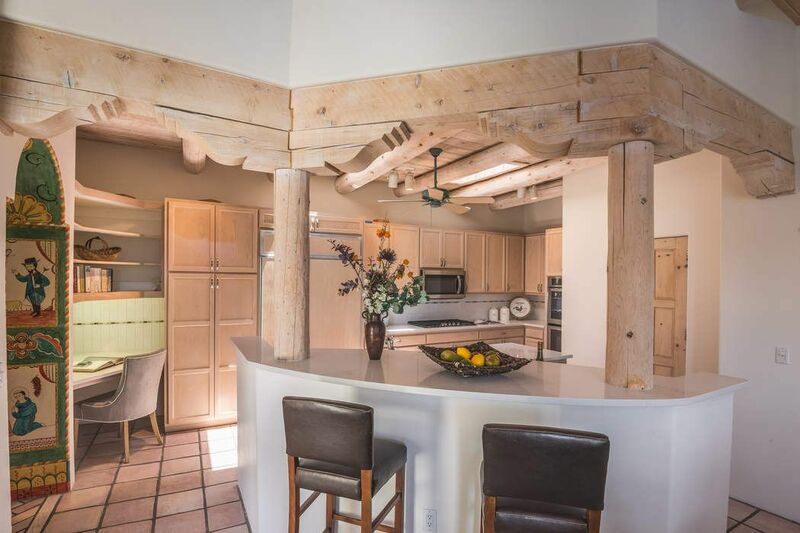 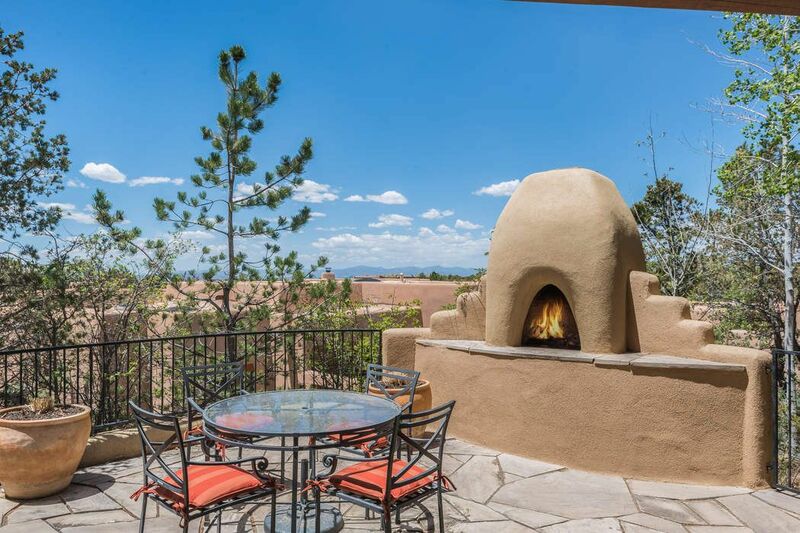 Come enjoy the Santa Fe dream with room for your rich lifestyle!